"Bonaire is world renowned for its excellent scuba diving and is consistently rated among the top shore diving and Caribbean diving locations in the world. In fact, Bonaire's license plates carry the logo Diver's Paradise in English. The island is ringed by a coral reef that is easily accessible from the shore along the Western and Southern sides. Furthermore, the entire coastline of the island has been declared a marine sanctuary, preserving local fish life. 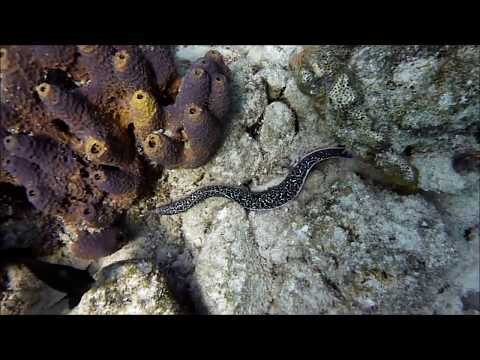 Bonaire is also consistently recognized as one of the best destinations for snorkeling. The coral reef around uninhabited Klein Bonaire is particularly well conserved, and it draws divers, snorkelers, and boaters. In addition to its rich marine preserve, Bonaire is also famed for its flamingo populations and its donkey sanctuary. Washington Slagbaai National Park, located at the north side of the island, is an ecological preserve. The highest point of Bonaire, Brandaris, located within this preserve has a complete view of the island. Lac Bay on the eastern side of the island is a windsurfer's paradise. Locals Taty and Tonky Frans in 2004 were ranked in the top five of the world's freestyle windsurfing professionals." Ort: Bonaire island is part of Netherlands Antilles. Du kannst die Wannadive.net KML/GPS Dateien NUR privat nutzen. Lies die Allgemeinen Bedingungen für mehr Information.